Lent: a pathway into the promises and graces of God. Welcome to Lent— Lent is a time to examine how you are doing as a follower of Jesus, a witness to compassionate love, forgiveness, peace and hope. Lent is an opportunity for a spiritual tune-up by embracing certain disciplines for the sake of paying attention to the deepest core of who we are, made in the image and likeness of God. Ash Wednesday derives its name from the practice of blessing ashes made from palm branches blessed on the previous year's Palm Sunday, and placing them on the foreheads of participants to remind us we do not live forever. 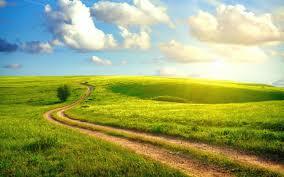 We are spiritual beings on an earthly pilgrimage. Once again, enjoy our pre-Shrove Tuesday Pancake Breakfast! Our Youth are chefs and hosts. 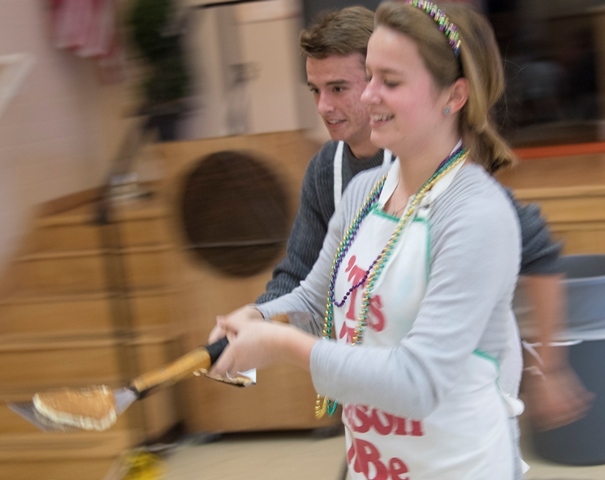 Join in pancake tosses and races for all ages! Also - collect your copy of our very own St Francis Lenten Devotionals; daily reflections written by our clergy and parishioners. It will be a great tool for experiencing Lent together! Watch out for a special email with an online version you can download to any device for reading at any time! 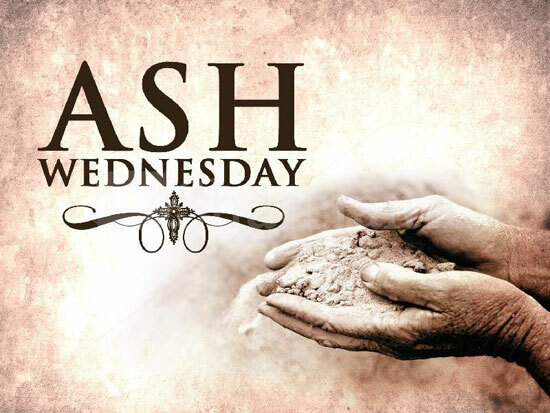 Ash Wednesday— Holy Communion with Ashes—12:10 & 7:00pm (Bishop Diane preaching at 7:00pm). Ashes to Go!— Malaga Cove, 2-4pm, in front of the market. Lent Quiet Day— also on Ash Wednesday, 9:30am - noon. Exploring the Labyrinth. The use of the Labyrinth for spiritual purposes, dates back 4000 years! Come spend a quiet morning learning about labyrinths world-wide, and then enjoy the silence of walking or drawing or writing or meditating in preparation for the Ash Wednesday Eucharist to follow. The quiet day will conclude in the chapel, in time for the 12:10 service. Sponsored by the Episcopal Church Women - all welcome. 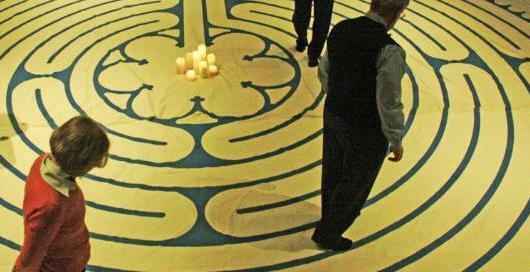 The labyrinth will be available for our use and contemplation throughout Lent (except February 22 thru March 2). What is God building in you, and through you? 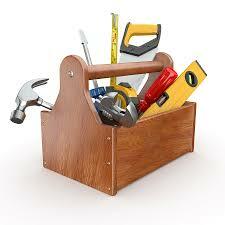 Do you have the right tools handy? Come hear Peter+, Peter Marshall, Holly Henebry, Judith Lyons and Paula+, present tools for grace, for life and for church, and learn together how to build what God has in store for you. You may or may not know that there are many well-known writers in history who were devoted Anglicans and Episcopalians. 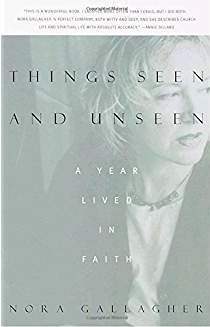 Come and out more about their lives, their writings, and their faith journeys. We hope you will be inspired by their lives and inspired to read their works. Each week's class will be presented by a different leader and will feature a different writer. This Sunday, February 11th at noon in the Library. 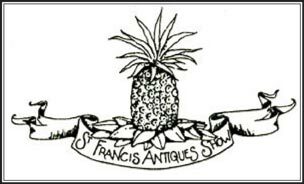 Preparations for our 50th Antiques Show are underway and we welcome you to join in the planning! We welcome you to contribute to this ministry as you can. Please don’t hesitate to contact Event Co-Chairs Jamie Bellows or Wendy Pratt if you have any questions. By Wed February 28 please. Thank you! Gourmet gadgets, silver knickknacks, crystal dishes, gift cards you won’t use? Do you have any of these items, or similar treasures, sitting around your house collecting dust? Well, you can support the St. Francis Outreach Scholarship Fund by donating your items to the upcoming Designs for Dining silent auction! Donations from our parishioners have been some of our most popular auction items bringing in hundreds of dollars for our scholarship recipients! Please email or call Mary Deley 424-212-9958 or regarding your donation. 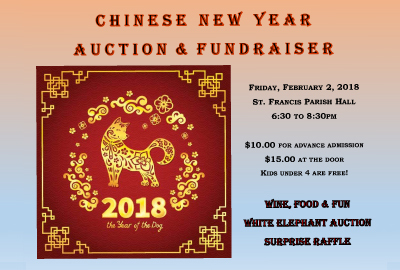 Items may be brought to the church office no later than February 28, 2018. Thank you! Girl Scout Cookies are on Sale! Where: St.Lawrence Martyr Parish Hall, upstairs in the St. Francis Room. Bring: yourselves, friends, and your children. It is truly a family affair! We will be sending Girl Scout cookies, as well as the usual morale boosters. Click here to see what items you may donate. Thank you for your support, Susie Zimmerman, and Julie McGovern. Calling All Fruit Tree Parishioners and Pickers - do you have fruit to pick, or would like to help? Monday February 26 - donate to those in need. On Saturday, February 24th, all fruit tree picking volunteers will meet at the church then visit homes of our parishioners, to pick ripe fruit. Finish at Hank and Suzanne Gatlin’s house for more fruit picking and a group cookout. Please sign up in the church office or send an email to Hank if you would like to volunteer to pick fruit and/or have a fruit picking team come to your house. 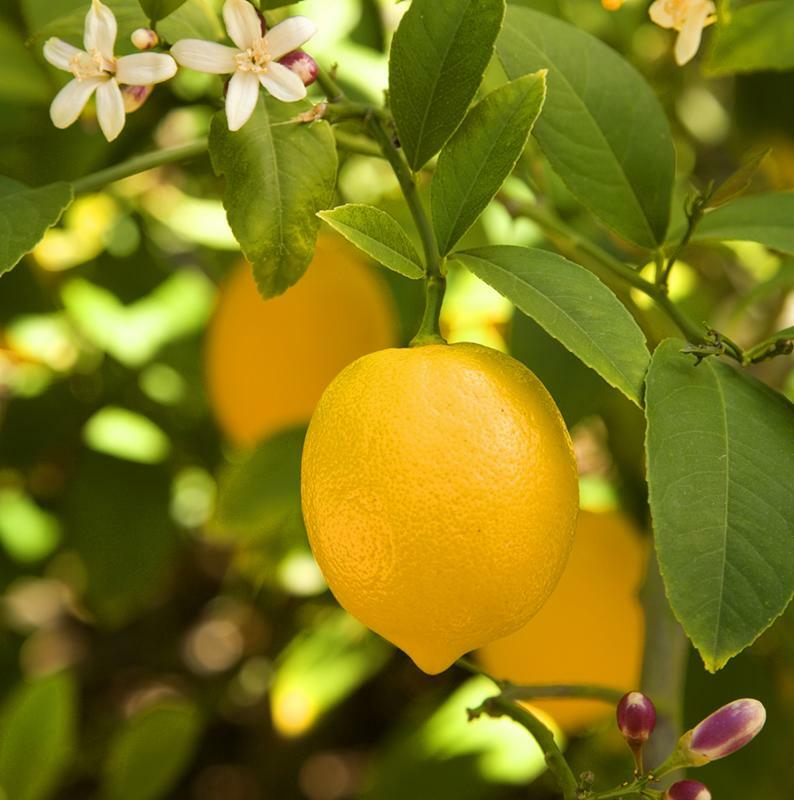 We will pick only what you tell us we can pick and we will leave whatever fruit you would like. We can make a difference in the lives of others! 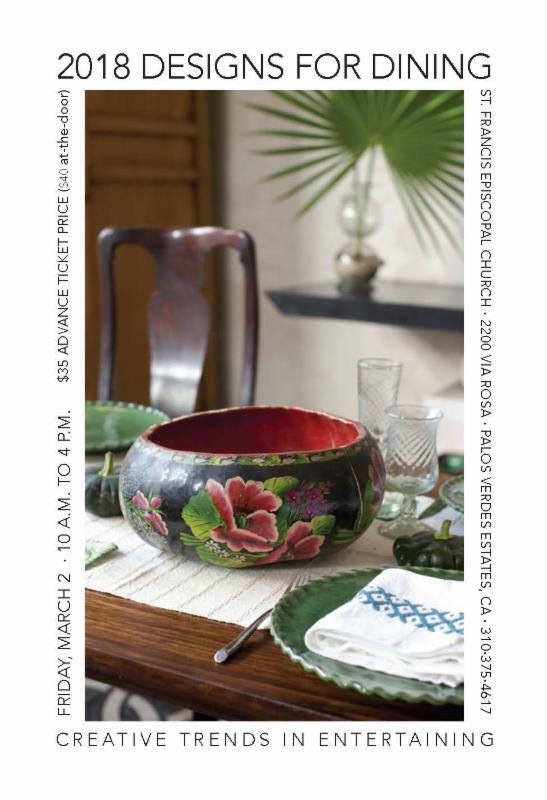 Designs For Dining 2018 - Invitations are in Church! Pick up your invitation after both services. Take one for yourself and give some to friends and family - it saves us postage. If you would like to pre-order a book signed by one or both of our celebrity speakers, email Cheryl Gutierrez, or phone (310) 791-7038. Book Signings - Tim Street-Porter, " Palm Springs: A Modernist Paradise" and Annie Kelly, " Casa Mexico: At Home in Merida and the Yucatan", photographed by Tim Street-Porter. Volunteers—if you would like to volunteer to work a shift please contact Cheryl. St. Francis Outreach Scholarship Fund (SFOSF) - Sign Up for Ralphs Community Rewards! 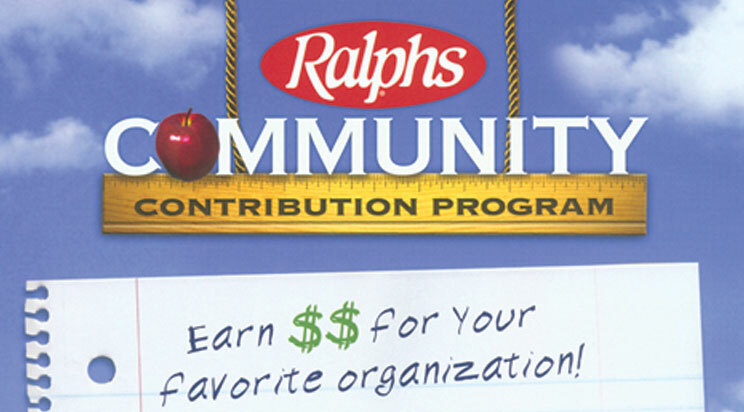 Out outreach fund receives a % of what parishioners spend at Ralphs. We can help you with the sign up process. Some people say they don't shop much at Ralphs but remember that Ralphs special promotions may offer great deals on items you need - and you can help Scholarship Outreach at the same time! Contact Cheryl Gutierrez (310) 791-7038 for instructions on how to sign up for Community Rewards. It's easy and free! Episcopal News Weekly - forum for Newport Beach mission station, Spanish-language Ministry Fair, and " The Gathering - A Space for Asian American Spirituality ".